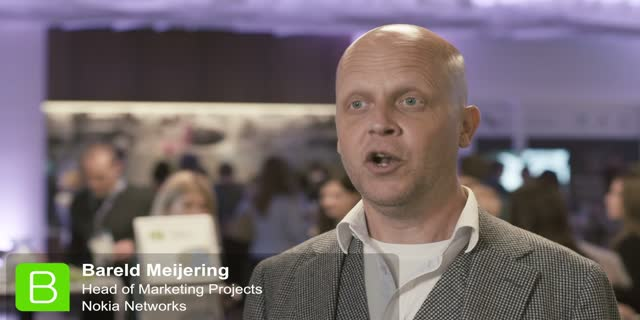 What’s impacting the marketing space, moving from a cost centre to a revenue generating centre and what inspires Bareld Meijering, Head of Marketing Projects, Nokia Networks. On 22nd September 2015, the Marketing Nation Roadshow came to London! Discover what the great thought leaders - attendees, speakers & organisers - thought of the event in this video, filmed on the show floor! In this short video, Jack Wrigley - VP Business Development, Kickbox - talks data transformation and the great mashup between the CMO and CIO role. In this short video, Aoife Garvan of LinkedIn, speaks to the many new creative technologies keeping marketers on their toes. In this short video, Connor Shaw, Marketo's EMEA GM, continues the conversation of how marketing and sales are changing the way we communicate. In this short video, Liz Smyth - Marketo's AVP Marketing - shares exactly what Marketo's Inspiration in the Nation, Marketing Roadshow is all about - collaboration, innovation, knowledge sharing and more! Plus - using Marketo to design a better customer experience for the Finnish National Opera and what inspires Emma Storbacka, Business Development Director, Avaus Marketing Innovations. Plus dealing with the unknown, risk-taking, and convergence of skills and platforms - what inspires Orlando Hooper-Greenhill, Global Creative Strategist at J. Walter Thompson Company. Marketo's CMO, Sanjay Dholakia shares his view on mass marketing to engagement marketing - plus the great privilege of his career. How Jupiter Asset Management is building exoskeletons for their marketing team to become the ironmen of the future, their biggest challenge and being at the forefront of the digital transformation. The Marketing Nation is dedicated to helping innovative marketers take their marketing to the next level. Find out more on the Inspiration in the Nation event here!